Even today, accessibility is often an afterthought in the engineering and design of products, buildings and websites. Wheelchair ramps, braille signs, bike lanes and alternative text on online images are often left to the last minute. 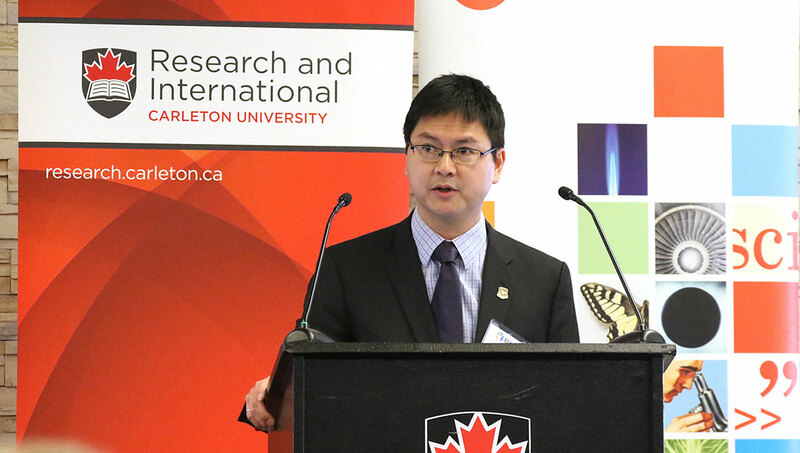 Chan’s research at Carleton aims to change all that with the help of a $1.65-million Collaborative Research and Training Experience (CREATE) grant from the Natural Sciences and Engineering Research Council of Canada (NSERC). Prof. Adrian Chan speaks during the launch of the READi program. 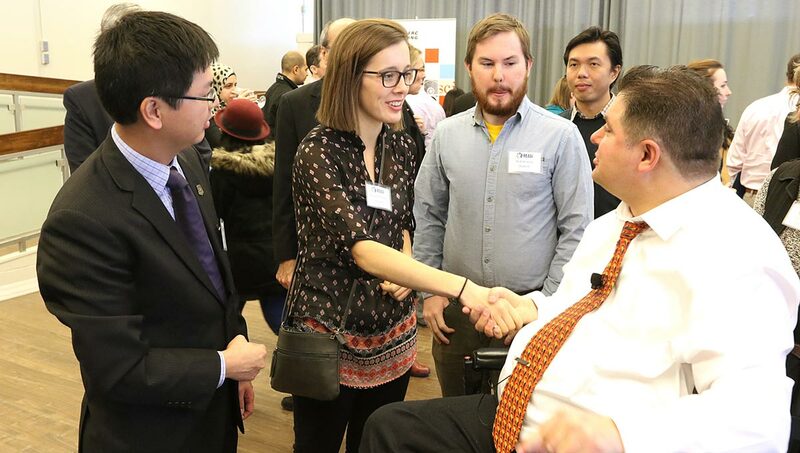 Announced on campus on Nov. 27 by Kent Hehr, the minister of Sport and Persons with Disabilities, the funding will support Chan’s training program called Research and Education in Accessibility, Design and Innovation (READi) to fill a gap in expertise. “The READi program tackles a major issue that affects many members of the Canadian population on a daily basis,” said Hehr. 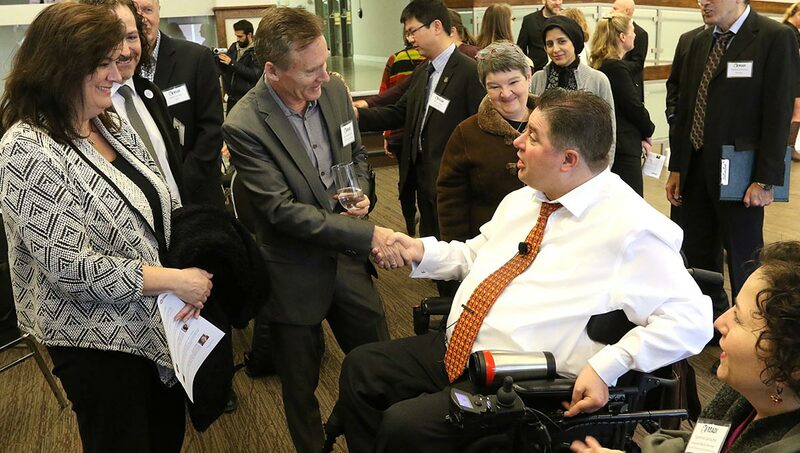 As part of his mandate letter from Prime Minister Justin Trudeau, Hehr was tasked to develop and introduce new federal accessibility legislation to increase inclusion and opportunity for Canadians with disabilities. The minister said that the number of Canadians with a disability would only continue to grow as the population ages, and that READi was integral to create a more accessible Canada. The READi program will provide professional training primarily for students in information and communications technology (ICT), engineering and design to prepare for markets expanding around accessibility requirements. “We’re looking at this not only as skills development, but also an effective learning opportunity,” said Chan. 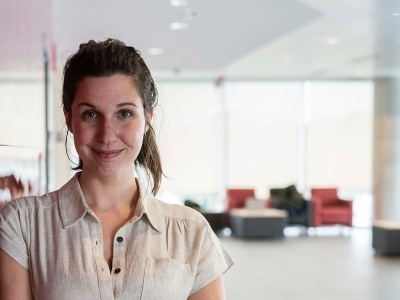 Collaborations with community partners will work on real-world problems, workshops will provide knowledge and skills development, and a new graduate course that started this fall is teaching graduate students accessibility and inclusive design. 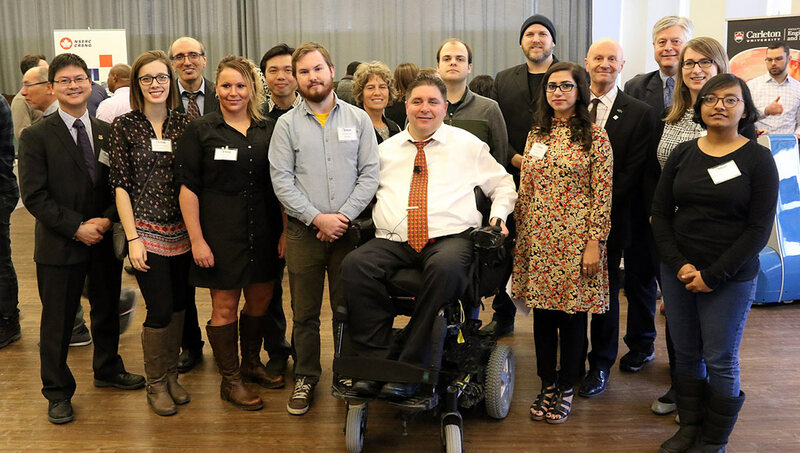 Kent Hehr, the minister of Sport and Persons with Disabilities, with Carleton students and faculty members. “Accessibility is really important to Carleton – it’s part of our strategic plan,” says Larry McCloskey, director to the Paul Menton Centre for Students with Disabilities. The University of New Brunswick, where Chan completed his PhD in 2003, has a large expertise in upper limb prosthetics. After a shift in focus from telecommunications into biomedical engineering, Chan began to work on assistive devices. 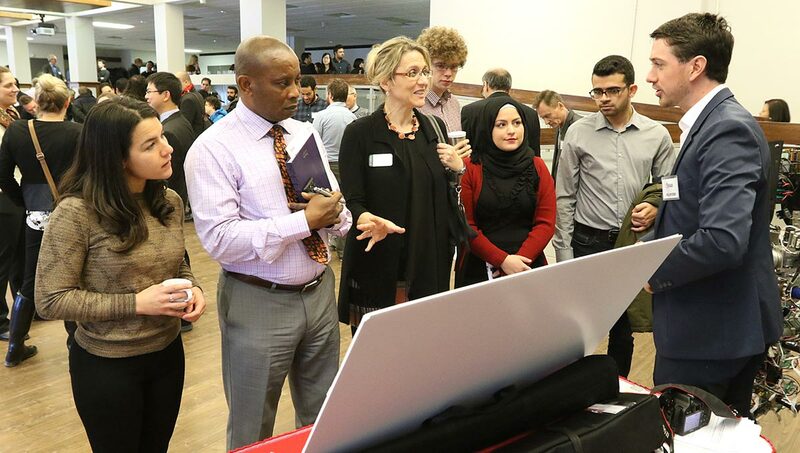 After the announcements, attendees navigated a display of rehabilitation robotics from Carleton’s Advanced Biomechatronics and Locomotion Laboratory (ABL) before a symposium of programs and presentations for READi students and stakeholders. 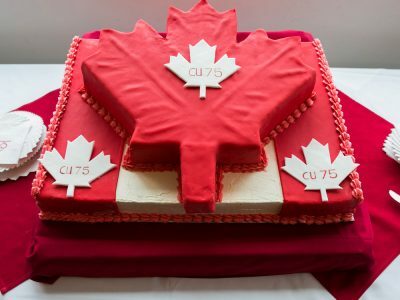 Carleton has a long and strong history in accessibility—from providing education to Second World War veterans to today’s inclusive and accessible infrastructure. At the same time, Ontario’s Accessibility to Ontarians with Disabilities Act is one of the most progressive legislations on accessibility in the world. Chan says the solutions-oriented and holistic approaches at Carleton and in Ontario are a perfect fit. “We’re not just talking about physical accessibility or web accessibility, we’re also talking about attitudinal barriers,” said Chan. The well-observed “curb cut effect” indicates that accessible design for vulnerable members of society usually ends up also helping those without disabilities. Almost imperceptible wheelchairs ramps in most sidewalk curbs are commonly used for rolling luggage or shopping carts. The same can be said for automatic doors, elevators and even bike lanes—all give back to society as a whole, not just to the disabled. Attendees learn about rehabilitation robotics and accessible design. Chan joined Carleton the same year he completed his PhD. He became associate professor in the Department of Systems and Computer Engineering in 2008 and full professor, as well as associate dean (Programs and Awards) in the Faculty of Graduate and Postdoctoral Affairs, in 2015. He collaborates with experts in a variety of disciplines, including Yvan Labiche, a software engineer from Chan’s department, Mojtaba Ahmadi from the Department of Mechanical and Aerospace Engineering, Audrey Girouard from the School of Information Technology, Chantal Trudel and Lois Frankel from the School of Industrial Design, and even Music Prof. Jesse Stewart. 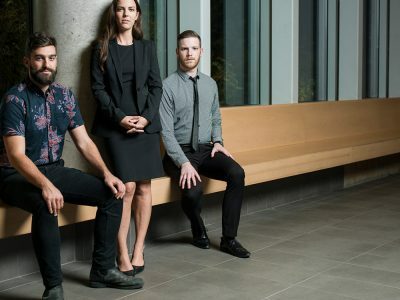 Other significant contributors are Edward Lemaire from the University of Ottawa and Queen’s University’s Nicholas Graham and Claire Davies from the School of Computing and the Department of Mechanical and Materials Engineering, respectively. 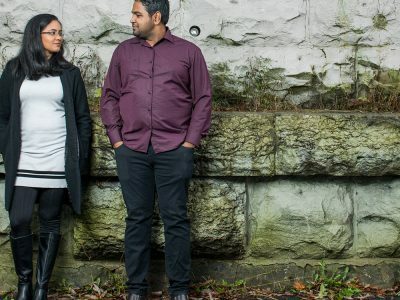 To close the gap between compliance laws and true accessibility, engineers and designers will need to change their attitudes as they enter the industry. Students in the READi training program will benefit from annual retreats and an all-encompassing annual symposium to share their findings and perspectives with the next group of students. 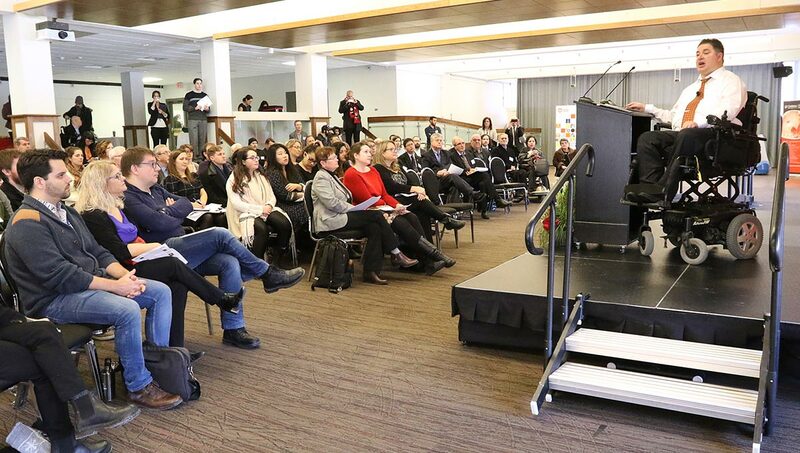 “In READi’s inaugural year, we have been able to attract outstanding students,” Chan said at the symposium launch. “They are tomorrow’s engineers, designers, IT specialists and, most importantly, they are tomorrow’s leaders that will help create a more inclusive society. The Department of Systems and Computer Engineering at Carleton University is a recognized world-class institution in computer systems engineering, electrical engineering, software engineering, communications engineering, and biomedical engineering. We offer a broad range of undergraduate and graduate programs in these disciplines. Our faculty members are well-published leaders in their fields. We are well-equipped with advanced laboratories and facilities. Together with the Department of Electronics, we constitute one of the largest and most research-intensive centres for Electrical and Computer Engineering (ECE) education and research in Canada. Find out more about the Department through the multimedia sWall project.